Absolutely radiant. 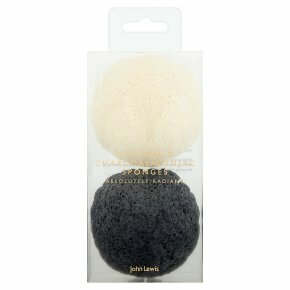 Our natural cleansing sponges are made from Konjac root vegetable fibres. The extra fine texture gently cleanses and exfoliates for brighter looking skin. Konjac is gentle enough for most skin types, and can be used all-over the face and body with or without cleanser. Free of preservatives and artificial fragrances, these sponges are biodegradable. Natural: For all skin types. Charcoal: Helps balance oily and combination skin. Instructions for use Soften sponge by soaking in warm water for 3-5 minutes. Gently expel the excess water, and massage on your face or body in a circular motion with or without cleansing soap. Washing instructions After use, rinse & hang to dry. Replace every month or as the sponge tires.